The upcoming Tomb Raider film, based on the rebooted game series from Crystal Dynamics, has found its Lara Croft. 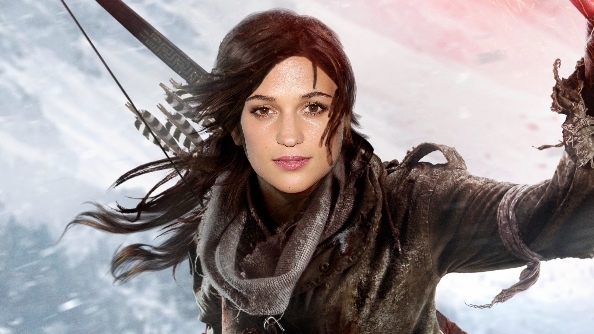 Gaming’s favourite archaeologist will be portrayed on-screen by Alicia Vikander. Rise of the Tomb Raider is one of the best games of 2016. The Hollywood Reporter details that MGM, Warner Bros. and GK Films have signed on Vikander for the lead role, and Roar Uthaug is attached as director. The film is due to tell the story of Lara’s first adventure, much like the first game in the rebooted game timeline. Vikander has been making waves in film for a couple of years now after stellar turns in the likes of Testament of Youth and sci-fi Ex Machina, and notably won an Oscar for her performance in The Danish Girl earlier this year. She’ll soon be seen in Jason Bourne alongside Matt Damon. With such a great back catalogue of work, Vikander will hopefully bring something special to the role of Lara. The casting will no doubt surprise quite a few people, as until this announcement the entire world seemed pretty convinced the role belonged to Daisy Ridley, who played Rey in Star Wars: The Force Awakens. Rey certainly had a little Lara in her, but I don’t think there’s any downside to casting Vikander instead. Lara was, of course, last famously seen on screen played by Angelina Jolie in two Tomb Raider movies in the early 2000s. How do you feel about this casting? Does having an Oscar-winner in the spotlight give you hope that Tomb Raider could finally be a videogame movie adaptation that’s actually pretty good?